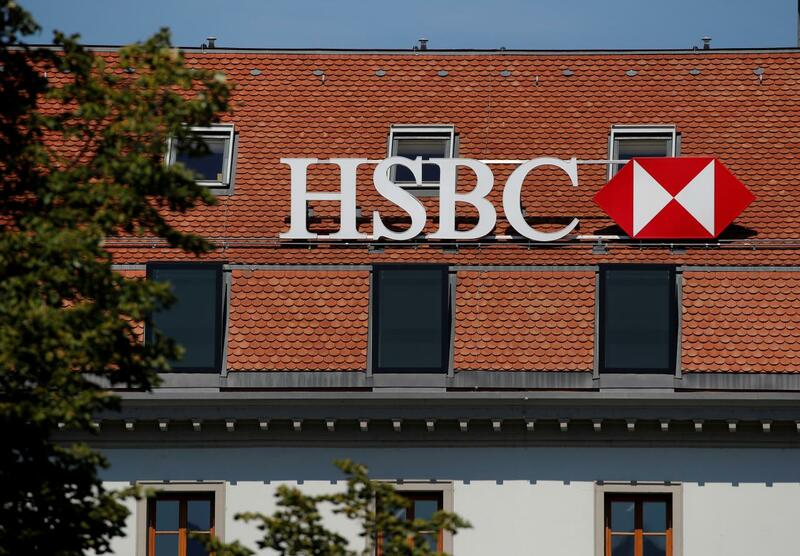 HSBC Holdings Plc posted a higher-than-expected 28 percent rise in third-quarter profit as a renewed push to rein in costs and market share gains in its mainstay Asian region paid off, sending its Hong Kong shares sharply higher on Monday. Europe’s biggest bank by assets has in recent years reaped the benefits of a wider restructuring after the global financial crisis, but rising costs have been a concern as CEO John Flint, who started in the job in February, steps up investments. Stubbornly high costs had in previous quarters weighed on HSBC’s profits, with analysts saying its share price growth will be capped until it can show revenues rising above costs, in a trend known as ‘positive jaws’ in city parlance. In the September quarter, the bank’s reported pretax profit was $5.9 billion, up from $4.6 billion in the same period a year earlier. The profit was higher than the $5.6 billion average of analysts’ estimates compiled by the bank and the percentage growth was its strongest in four quarters. HSBC said its expenses in the third quarter fell 2.4 percent from the preceding three months, reversing the trend of the last couple of quarters. Quarterly reported revenue grew 6.3 percent from the year-ago period to $13.8 billion. Flint has outlined plans to spend as much as $17 billion in three years on technology and in China. HSBC is also hiring more people to boost growth in some of its business units including investment banking and private banking – the areas where it has lagged its American and some of its European rivals. This month it hired former JPMorgan banker Greg Guyett as co-head of global banking, which includes investment banking, to fill a gap left by the departure of former Goldman Sachs banker Matthew Westerman last year. It also poached Goldman Sachs veteran banker Peter Enns as its global head of financial institutions group in its investment bank, after losing a number of high-profile dealmakers this year. The bank’s number of full-time employees at end-September saw an increase of 5,044 from December to 233,731, it said. Hong Kong shares of HSBC extended their morning gains to be up as much as 5.6 percent in the afternoon after the results, while the broader market was up 0.3 percent. The stock was trading up 4.9 percent at 0725 GMT. Flint said he had not yet seen any signs of distress among corporate and individual customers’ financial health as Britain approaches the crunch period in its exit talks with the European Union, amid rising concerns of a no-deal Brexit. “We are hoping that progress can be made in the coming weeks,” he said. The CEO also played down the near-term impact of the escalating Sino-U.S. trade tensions on corporate activity. “It’s a real issue to be clear, but it’s not yet manifesting itself in business activities in a meaningful way,” he said. Reported pretax profit of HSBC’s Asia operations, which accounted for 75 percent of the bank’s overall profits in the September quarter, rose 10.7 percent during the third quarter to $4.5 billion. HSBC’s regional pivot is centered around China’s Pearl River Delta region with billions in investment commitments and plans to bolster its retail and wealth management business in the world’s second-largest economy. The southern Pearl River Delta region – home to 11 industrial cities that are set to fuse into one megalopolis – already has an economy larger than Indonesia’s and has shifted from a manufacturing base to a tech powerhouse. HSBC is set to be the first company to issue Chinese Depositary Receipts (CDR), through a link between the London and Shanghai stock exchanges which will begin by year end, people familiar with the matter said earlier this month. Flint said the bank was looking at the CDR option, but declined to comment further.